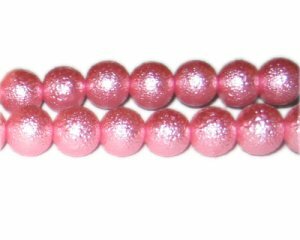 These are 12mm Fuchsia Rustic Glass Pearl Bead, approx. 17 beads on an 8" string. Very nice beads, Exceptional Value. I look forward to receiving my order every time I place a new one. Thank You! I love dollarbead. I love the beads. Great prices , great product. Will be on my 4th order.